AT&T appears to be running an accessory promo at the moment that will land you 25% off your entire cart if you buy three or more products. 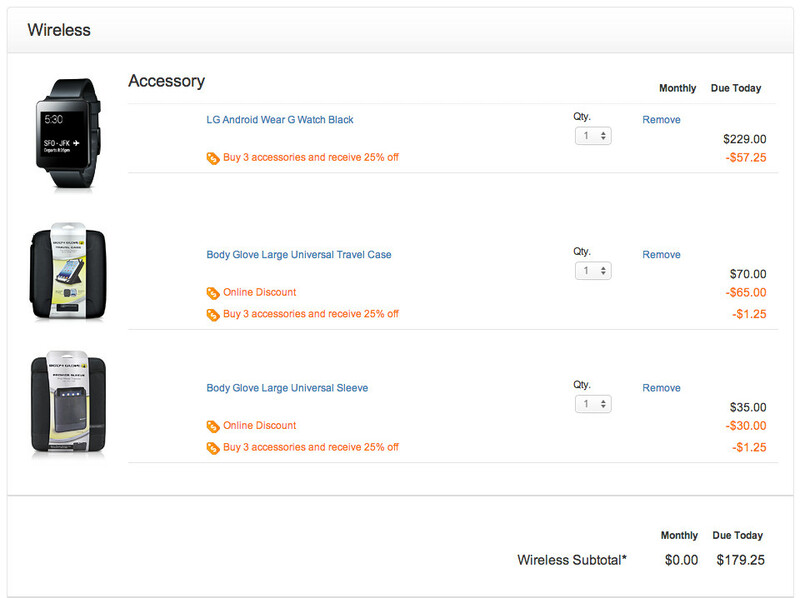 Should you couple the newly released LG G Watch (since it is listed as an accessory) with two incredibly cheap, $5 Body Glove products, you could get into the G Watch for as little as $179. 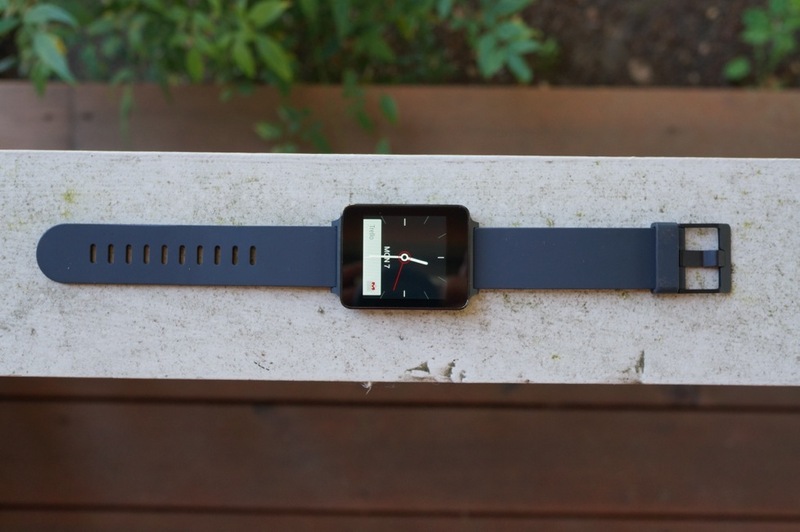 The G Watch currently retails for $229, so you are looking at $50 in savings. We reviewed the G Watch last night and came away from it more looking to the future, than anything. The product isn’t bad, but the platform behind it is so new that it is tough to fully evaluate where it could be in a couple of months. At $179, it may just be worth a look if you love adopting new technology out of the gate. The deal recommended over at Slickdeals is as follows – add the G Watch to cart, plus these two $5 Body Glove cases and you should see the discount.